Refurbishment of workstation worktops gives old, worn and damaged work surfaces a new bright look. 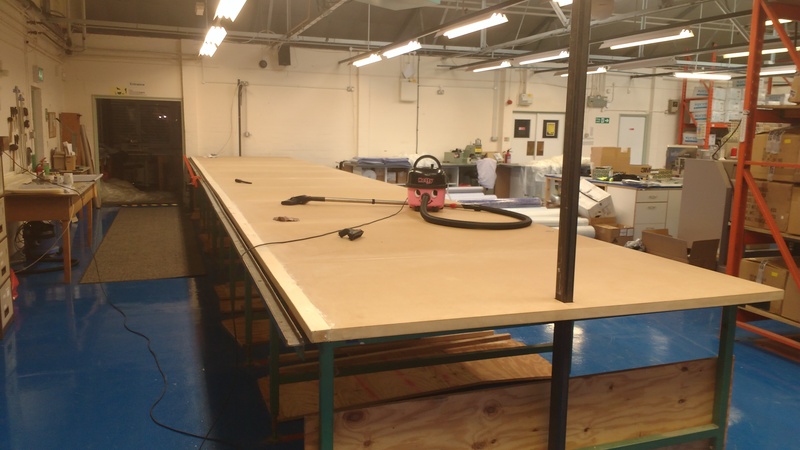 Using skilled site teams and market leading materials transforming even the largest of worktables (The one in the photos below are 12 metres x 1.9 metres. By squaring up old framework and laying bespoke tops. Thus bringing the work area towards the standard of the office. 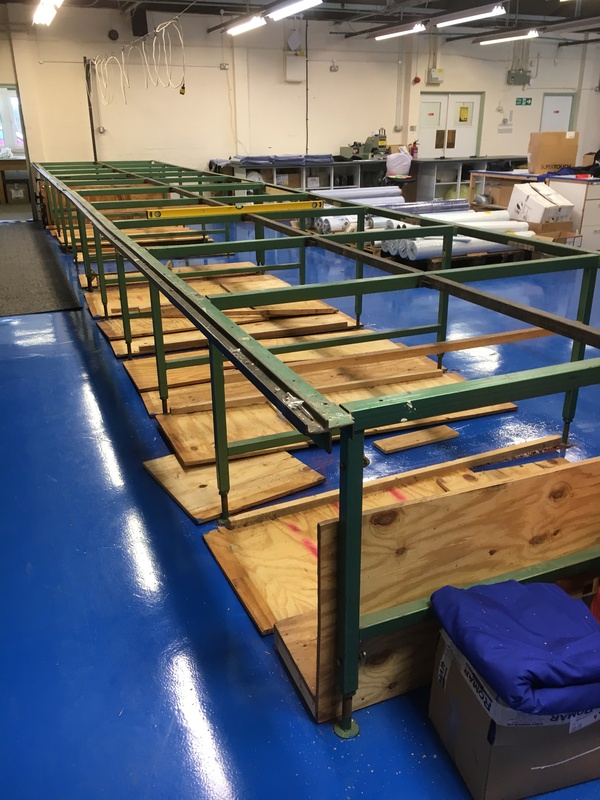 One of the main parts of any site work is firstly prepping the area to contain and making sure the work area is left clean and tidy with all the rubbish and debris removed from site. 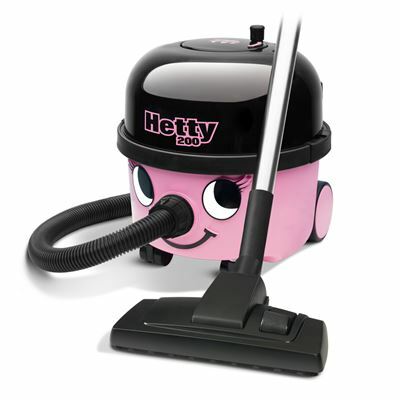 Being the newest member of our site time Hetty has fitted in well ensuring this site was left dust and debris free. Her bright personality has made sure she cannot be missed. 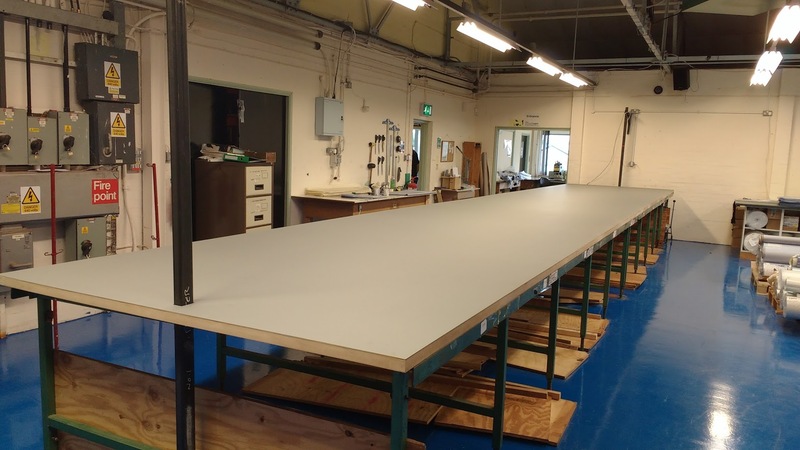 Finished refurbished workbench with durable single piece (12m x 1.9m) work surface bonded using the latest in water based zero odour adhesives. Giving the old work area a new lease of life.